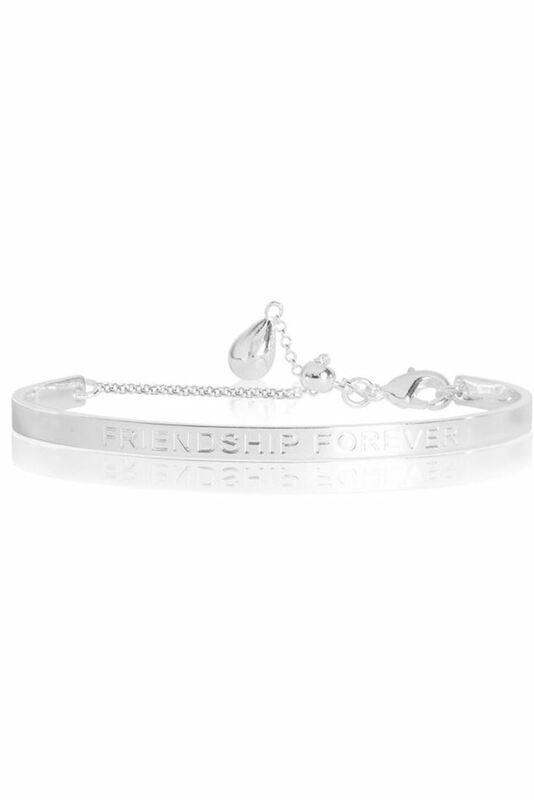 Say hello to our beautiful Friendship Forever bangle. This adjustable bangle is finished with a stamped Friendship Forever sentiment and completed with a hanging peardrop charm. The perfect bangle to complete any winter outfit.